Christmas is a truly special time to be celebrated with some of your closest friends and family. Having said that, a knife is not only an elegant gift to give anyone, but also one that is bound to be remembered for a long time as well. You can be sure of that fact. Gerber Prodigy Survival Knife: Measuring a good 9.75 inches, it not only has a full tang high-carbon stainless steel blade, but it is also coated with black oxide in order to give it a corrosion resistance. Plus, the knife comes with a high-quality sheath as well. Smith and Wesson Extreme Ops Pocket Knife: This is pretty much the ultimate tactical folding knife that possesses a reliable framelock as well. This alone makes it an ideal choice as it would be able to withstand a tremendous amount of pressure in many extreme situations. Carbon Steel Gurkha Service Kukri: If you are a woodsman, rest assured that this knife is your best friend. Topped with a classic leather sheath along with two extra 3-inch knives, it is one of the few elegant heavy-duty blades out there. Smith and Wesson Military Police Pocket Knife: One of the main appealing factors of this knife is the fact that it comes with a M.A.G.I.C. assisted opening mechanism. With a safety switch, all it takes is a casual flick of the thumb for the blade to spring into action. 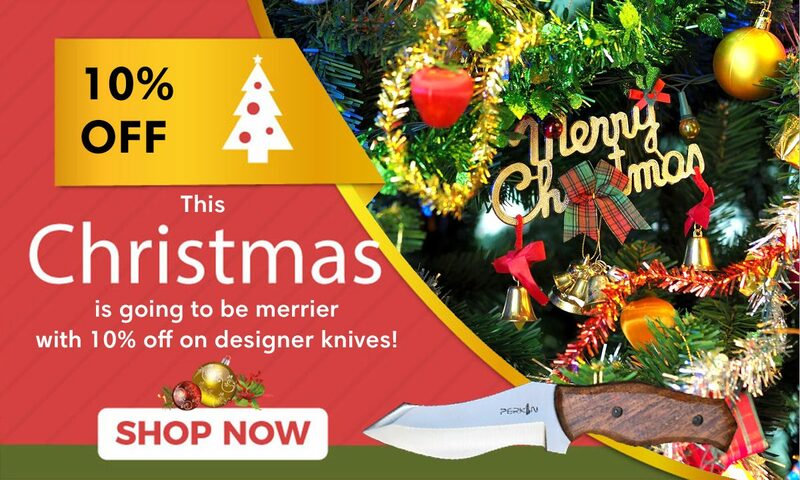 Since you have gotten a good gist of the above Christmas Knives, be sure to choose the one that fits the person’s needs and wants in every way possible. That is the key. You most certainly do not want to end up having purchased a knife that was of little to no use to them simply because you didn’t do your homework on the kind of knife they were looking for. If you are planning to buy a knife, now is a good time because Perkin Knives is offering 10% discount this festive season.